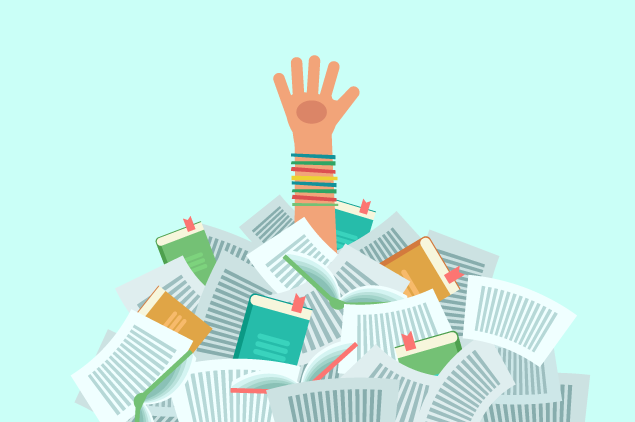 College stress can definitely feel like you’re drowning under piling assignments. It’s coming up close to midterms at my university. On top of that, I also have several projects looming in the distance all due at the end of the semester, and I have a senior thesis project to have about completed by next spring. So yeah, I’m stressed. With the many assignments and responsibilities to think about, seemingly all at once, it can feel hard to actually pinpoint what to do, what to focus on, and how to get everything done. If you have any smidgen of type-A personality in your psyche, then you can relate to that gut need to make sure everything you do is your best effort, all the t’s crossed and i’s dotted. Which, when you plate is overflowing, can amount to plenty of extra pressure on yourself. Before stepping into anything, realize that you are just one person, a human who isn’t made to do everything perfectly, immediately, all at once. You cannot set unrealistic expectations for yourself and collapse in disappointment knowing you cannot meet those goals. In fact, it just adds to extra work and stress. Yeah, life would probably be a whole lot easier if we were robots, or just had robot assistants, who flawlessly do everything in a short time frame. But I guess I wouldn’t have much to talk about then. If you don’t have some form of a planner, whether that’s a physical agenda or online calendar, get one so it’s handy. I personally need to write things down with good ol’ pen and paper to have tasks click in my head, but I know plenty of others who live by the beeping notifications from Google to stay together. You do you. The main point is to lay out your day or week and see where your time is spent. With classes, work, and other activities blocking off your days, you at least have a visual for when would be best to sneak in homework or projects. But again, we’re not robots. Health and wellness in all areas come first. You still need time for current assignments, for spending time with loved ones, for resting and self-care. Trust me, when the school year is in full swing, that’s when I can crash. Hard. A mind thinking a million miles a minute tends to overlook those basic necessities of health until we hit a brick wall head-on. Then you’re definitely not getting anything done, at least not done well. If your current schedule is evoking some of these emotions and experiences, maybe reevaluate your priorities. Are certain activities causing you to spread yourself too thin to take care of your health and education? Chances are, people are going to understand if you need to step back on a few activities, a few meetings or events, to put yourself back together. We’re all students and humans. We’ve all been there. Saying “No” is okay. Okay, so those bigger projects outside of the day-to-day obligations. How do you find the motivation to try tackling something that isn’t due for months but is important enough that it’s looming in the distance and stressing you out? Especially if you have multiple projects to think about at once. I know I have at least eight right now. Probably more. Yeah, I don’t know how I’m still standing either. When in doubt, baby steps. Take each individual project and write down little checkpoints or milestones that would mark your progress and help toward the end-goal. Reasonable goals are ones that you could probably complete in a week or so. Rather than looking at this huge menace impossible to even begin, take chunks off that you can consistently and easily work on in a down moment, of course paying attention to any required deadlines. Nobody would ask you to just jump to the top of a mountain in one foul swoop, but they probably aren’t obvious in expecting a gradual climb to the peak. That’s where our own self-discipline and motivation come in. Procrastinating everything to the last minute will certainly not help motivate you. Personally, thinking of the relief I’ll feel if I get started on projects and early and have them done before their final deadlines can often be enough to get the ball rolling, but sometimes I still need an extra push. A flash of inspiration, often from other people, can be necessary. Especially if any of the projects are group projects. Every sigh with frustration here about group projects. I’m usually the one who is reminding others to keep trudging forward, to keep the project in the forefront so they don’t forget to do their individual tasks. It can be scary to feel like you’re taking a leader role or potentially being that annoying person bugging the others to get work done, but let’s face it: If others aren’t motivated and your own performance depends on them, someone has to speak up. You’ll be glad you did. So, quick summary: Take care of your health before everything, prioritize what is required over the extra time-crunchers, and take small, regular steps that are manageable and eventually amount to something great. Not an easy process to learn, and I’m here learning it too, even as a college senior, but trust me, we’ll make it. Do you have any tips for managing multiple assignments and projects at once that I overlooked? Help us all out and let us know down below. Who would’ve thought an oil diffuser from Costco would be such a lifesaver? For years now, I have known about essential oils. How to effectively use them is another matter. Anybody can grab a random oil off the shelf, smell it, and pretend it does something beneficial. Aromatherapy, first off, is not just a passing trend. Essential oils have been used for centuries for many purposes, not only in aromatherapy, but in beauty, cleaning, and medicine. In their most natural forms, the particles in essential oils isolate the antioxidants and nutrients found in plants to specifically target concerns. 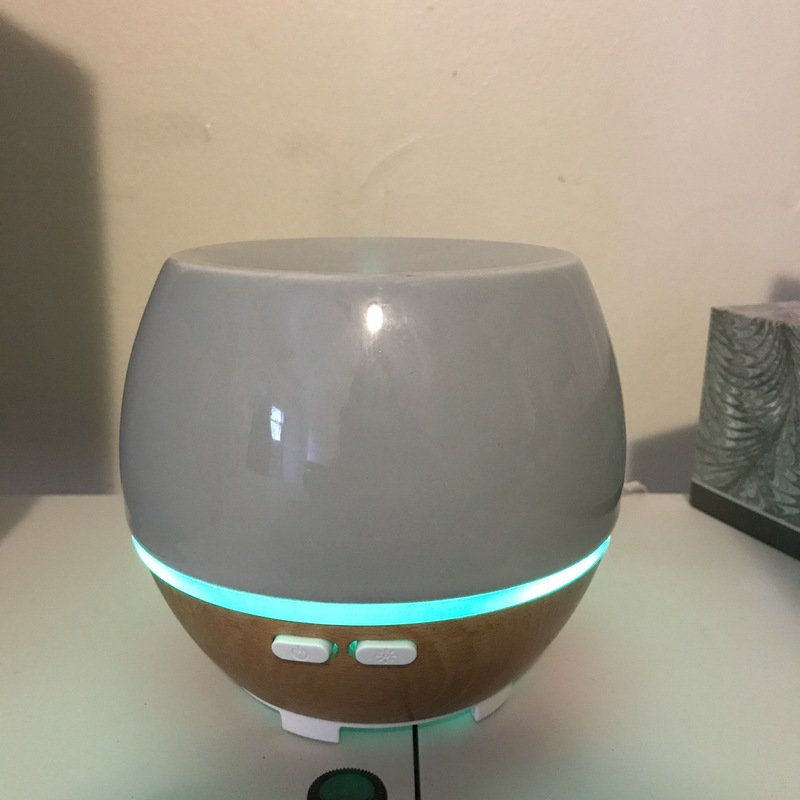 These days, with how “trendy” it is to say you have an essential oil diffuser, we overlook that with knowledge about essential oils, they can become much more than just a nice scent in the air. Isn’t that what candles are for, anyways? There are a lot of different products and ideas online about how to go about dabbling in essential oils. As with anything, know who to trust. Do your research. Essential oils have a rich history, going back to ancient Jewish and Egyptian civilizations. This isn’t a concept coming out of thin air, but a holistic tradition that has great potential for us today. Not all brands toting essential oils are made equal. Before you start forking money over for a collection of oils, make sure that the oils are coming from a reputable source. It’s best to find ones considered “therapeutic grade,” meeting the highest standards. If there is a brand that’s especially inexpensive, chances are that those little bottles are filled with a bunch of filler ingredients and artificial scents. The two brands I trust and hear the most about are Young Living and Doterra, so that’d be a great place to start. Some great starter oils that serve multiple purposes are lavender, lemon, and peppermint. These three are definitely the most popular because they each seem to cover all the bases you might need to begin. From there, I would recommend looking into the benefits and usual uses for the many different essential oils out there and decide for yourself what would be the most beneficial for you. We don’t all need every name on the shelf if it’ll just end up cluttering our space. But if you want to take advantage, the many ways you can add essential oils into your daily routine and life seem to be endless. Heck, a list from Dr. Axe has a whopping 101 uses, from baking, to cleaning off soap scum, to gifts, to reducing anxiety and more. Again, make sure you do the research because many oils need a carrier oil (a gentle, neutral oil like olive or coconut) to dilute it so it’s not too strong for topical purposes. With all of the possibilities at our disposal, why are we all not just automatically going to essential oils? We’ve become so accustomed to conventional products, it’s weird to think of not using a Clorox spray in the bathroom, or expensive bottles of perfume, or going straight to the medicine cabinet when we are in pain. We know these things serve our intended purpose, they’re easy to get a hold of, so why not? Except that you’re paying for a brand name chock-full of fillers and chemicals that cause more harm than good in the long run. I wish I could say that I am one of those people who swear by essential oils and know exactly how to put them to work, but I honestly don’t. Sure, I run my oil diffuser and love to have certain combinations when I’m in certain moods, but beyond that, my oils are not my go-to for everything. They sit in their little travel pouches in the cupboard and come out when I’m picking through whatever sounds nice to smell at the moment. I would love to learn more and apply that knowledge into how I approach my health and life. You don’t have to give up your go-to remedies and products cold turkey, but I challenge you (myself included) to become more mindful of these tasks and needs we come across and see what options we actually have. Do we really need a bunch of pills when we could even have a slither of relief, or prevent ailments altogether, if we used essential oils more often? Who knows. With all the hype around being “natural” and “organic” these days, our resources are plentiful and the motivation to lead a more holistic life is easier now more than ever. Do you use essential oils on a regular basis? If so, how do you use them? I would love to have some more ideas to incorporate my collection into my life. The second your soles step upon the lawns on campus, you hear that iconic crunch of leaves succumbing to nature. The trees foliage is warming in hue despite the branches’ exposure to the chilling temperatures. The architecture never ceases to amaze. Along the paths, the transition is unavoidable. Your toes dance around the decay. The bittersweet realization the seasonal slumber is soon upon us. Among all of this, however, we cannot overlook the life still stirring. Or, in this case, rustling in the leaves and climbing up the moist bark of the trees. This was one of several ladybugs in the house. Where they originate, who knows, but every time I let them take a journey back outside. Flannel in autumn is a given. And I truly do find a sense of tranquility and beauty in this change. Rather than gazing upon death, I see regrowth. A new opportunity just on the horizon.